[NASHVILLE] –The Tennessee Valley Authority announced today that Richard Howorth was named chair-elect of the board of directors. Howorth will follow Lynn Evans as chair when her board term expires in May. 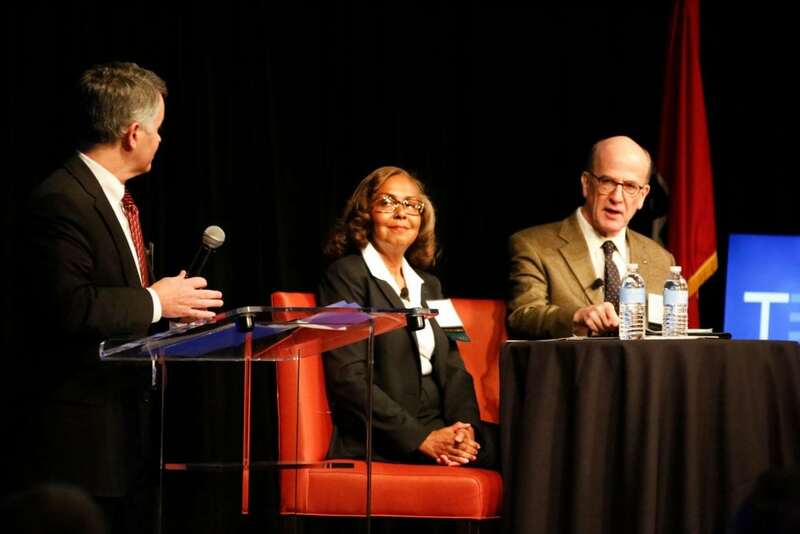 TVA directors Lynn Evans, center, and Richard Howorth, right, address co-op leaders during the Tennessee Electric Cooperative Association’s annual meeting in Nashville on Tuesday, Nov. 22, 2016.